Leaving HR files at risk of theft can have terrible consequences if your files get into the wrong hands. So what can you do to ensure your files are as secure as they can be? Let me guess, you currently store the files in your HR department in filing cabinets, folders and boxes? Not only are they consuming valuable space in your offices but you’re also worried about how secure they are. Well, you’re right to be worried because storing such important files in hard copy is very risky. They’re at risk of loss and damage from being stored on such a flimsy material but you would also need a pretty sophisticated security system to safeguard those files from theft too. These systems are costly whether that’s padlocks and keypad locks or full CCTV systems and companies are less likely to want to spend a great deal of the budget on these things. HR record scanning is the process of digitising HR documents to be stored electronically, in a fully indexed and manageable system. More and more companies have already turned to HR document scanning to help them to deal with large amounts of paperwork and to secure important information. Managing files digitally is now a standard process for a lot of companies but some still store older files in hard copy without realising the benefits they’re missing out on. 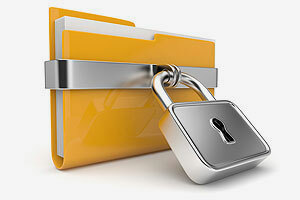 Digital files can be encrypted and password protected to ensure only the right people can view them. Going digital offers a much more flexible way to view, edit and share HR files without leaving them open to data security issues. You can save costs on expensive security systems with simple yet effective electronic files security. Office space freed up to be used in a much less risky way. Here at Pearl Scan we can handle small to large scale HR scanning projects. Our services are completely bespoke so they can be tailored to suit the needs of each individual client based on their requirements. We can take care of the entire process so you don’t have to and we can even provide our document retrieval software, Halogen, free of charge to help you manage your digital documents with ease. It has never been more important to ensure the information your company holds is secure and with Pearl Scan’s document management solutions you can do just that and start reaping the benefits right away. If you would like some more information about how we scan HR records, take a look at our website and blogs or get in touch today to receive a free, no obligation quote for your scanning project.